Jim writes: “I measured the concentricity of my 6BR rounds today. I noticed they went into the neck-bushing equipped full-length sizing die with less than .001″ deviation but came out with .003-.004″. The culprit, it appears, was the bushing itself. Without it the cases stayed within .0005″ to .001″ deviation, so something was happening with the bushing. Before we bash the bushing-makers, we must acknowledge that many different things can contribute to excessive run-out and/or mis-alignment of case-necks. We don’t have all the answers here, and Jim would be the first to say that some mysteries remain. Still, these are interesting results that give all precision hand-loaders something to think about. Editor’s Comment: Many people have great results with neck-bushing dies, but Jim isn’t the only fellow who has seen some very odd results. I personally employ honed, non-bushing dies for many of my chamberings. These non-bushing dies (with the necks honed for .002-.003″ neck tension) produce extremely straight ammo, with run-out consistently under .0015″. Share the post "Advanced Reloading — Checking the Geometry of Neck Bushings"
Share the post "Tech Tip: Measuring Shoulder Bump with Harrell’s Collar"
RCBS has a new made-in-USA single-stage reloading press. With its innovative “moving die/static cartridge” design, the new RCBS Summit Press definitely demonstrates “out of the box” thinking. Unlike other presses, the case does not move. Rather, the reloading die comes down to the case. With the press bolted on your reloading bench, all operations of the Summit take place ABOVE the bench-top. The new Summit Press features a rugged cast-iron frame with all-steel linkages. The press is very strong with minimal flex and slop in use. This allows you to “bump” your case shoulders and seat bullets with great precision and repeatability. The handle can be switched from right to left side (good for southpaws), and the open-front design provides good access, facilitating quick die changes. The 4.5-inch opening allows you to work with tall cases. Beneath the shell-holder is a spent primer catcher. The new Summit press has a beefy 2-inch diameter ram, with compound linkages for plenty of leverage. 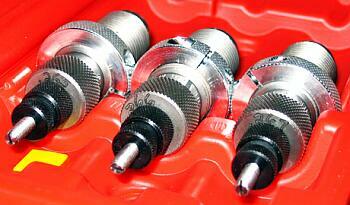 A zerk fitting is included for easy lubrication. The press will accept larger bushings for oversize 1-inch dies. The new Summit Press (RCBS item #09290) lists for $269.95. However, Midsouth Shooters Supply offers the Summit Press for $207.94. An optional short handle costs $15.27 at Midsouth ($19.95 MSRP). Share the post "New RCBS Summit Single-Stage Press"
One of the most commonly-asked questions on our Shooters Forum is “what diameter bushing should I use with my neck-sizing die?” While we recommend that users obtain at least two bushings, you still have to know where to start. For hunting ammo and gas guns, we still recommend choosing a bushing that is 2 or 3 thousandths smaller than the neck diameter of a loaded round. However, in a bolt-action benchrest gun, you may well get superior accuracy with less neck tension. Larry Isenhour recently set a spectacular 50-5X 600-yard IBS record using very light tension — Larry employed a .268″ bushing for a .2695″ loaded round. At the NRA Annual meeting we discussed neck bushings during our visit to the Redding Reloading booth. 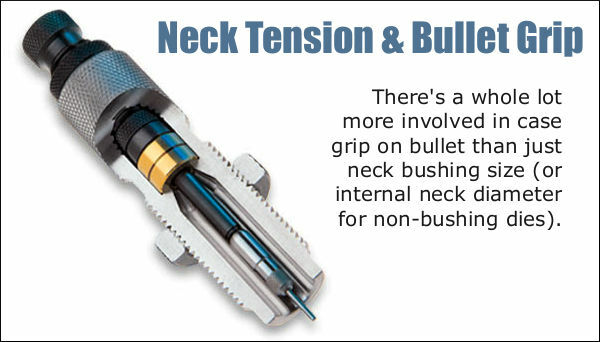 It turns out that Redding has changed its recommendations for benchrest neck sizing, and now recommends that you chose a bushing that yields less tension. 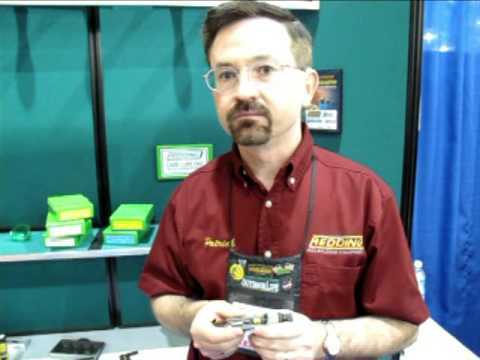 In the video below Patrick Ryan of Redding explains how to measure your cartridge brass and select the proper bushing diameter. Patrick also reviews some new Redding products for 2009. Share the post "TECH TIP: How to Select the Right Bushing for your Neck Die"